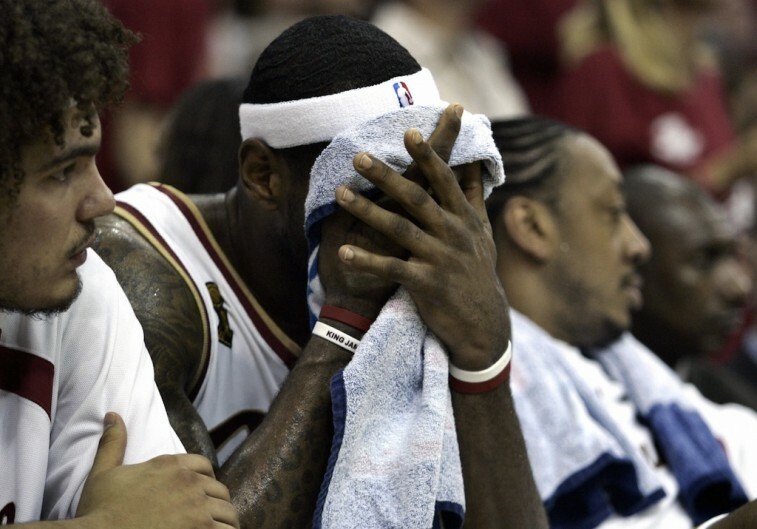 What’s Next for the Cleveland Cavaliers? The largest television audience in nearly 20 years of NBA Finals history showed up to watch LeBron James, statistical Finals MVP and potential savior of Cleveland, get dismantled by the Golden State Warriors in six games. This was not surprising, ultimately, because in the NBA good teams tend to beat the teams they are better than, but it was a reminder that the Cavs, injured and limping as they were, did not feature anything like their ideal NBA lineup. They had no Kevin Love, no Kyrie Irving (save Game One), and no Anderson Varejao, who mattered more than you might think despite being hurt almost every year come playoff time. When you’re relying on Matthew Dellavedova, you’re probably not in the position envisioned by the GM and the head coach when the roster started to take shape. Then again, with a roster that has so much potential for fluctuation, what do you do now? 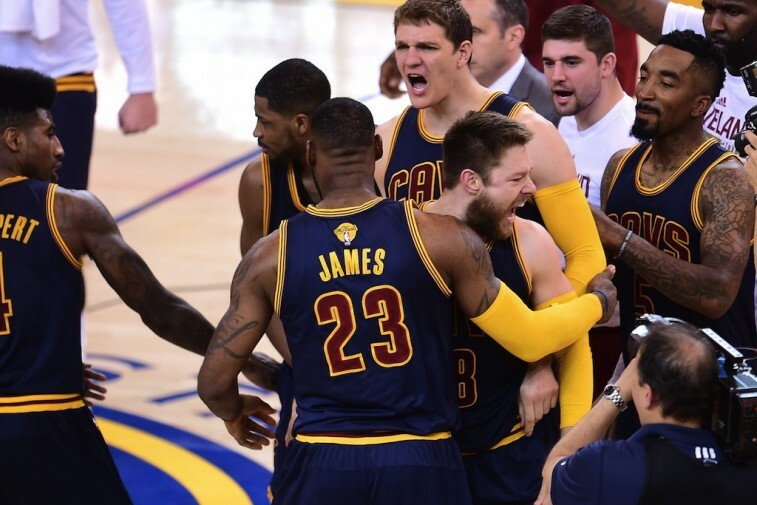 Of the players who made a meaningful impact to Cleveland’s year, nearly all of them are potential free agents — to writ: Kevin Love and LeBron James have player options that they’ll almost certainly turn down; Tristan Thompson, Iman Shumpert and Timofey Mozgov are all going to be fielding deals that should surpass their qualifying offers; and the only players who are actually under contract for more than one season are Kyrie Irving, now free from his rookie deal, Sideshow Andy, and Joe Harris, their rookie. On the one hand, this gives Cleveland a whole lot of leeway to put a better team around James than they were able to during the inagural run of his return to the Cavs — on the other, the pickings aren’t quite as exciting as they were in Miami circa 2011, particularly with James signing short deals as he attempts to navigate the salary cap’s explosion. Dan Gilbert will definitely spend money to keep LeBron happy, but he’d be more willing to do so if James was signed to a five year deal. Also, all respect to Ohio, there’s not a whole lot going on in Cleveland except the opportunity to join up with the guy who just lost the Finals. The Cavaliers have their hands tied, and are essentially sitting at the mercy of their players for the foreseeable future. It’s hard to have any sympathy for them, being as they have the best player in the world with them for (we assume) the rest of his NBA career, but even a team like Cleveland could wind up well over the luxury tax paying James, Love, and Tristan Thompson — and is that really a lineup you want to go to war with, even after it’s been rounded out by Irving, Varejao, and a necessarily-inexpensive shooting guard? People pay lip service to the increases in the quality of the Eastern Conference, but Cleveland had the good fortune of playing an injured Atlanta team and a Chicago squad that was running on fumes. The Cavs definitely got bit by the injury bug, but the notion that they’ll be playing below-strength teams (and dodge injuries in the future) is not a great bet to make. Not even LeBron James can beat Father Time. Our best guess is that Cleveland attempts to sell Love on the idea that he could have been the difference maker, and tries to run it all back with a similar cast of characters, fingers crossed, banking on some health and some luck. James isn’t leaving Cleveland, and so any idea that the roster is changing for the worse must be rooted in the idea that their All Star power forward is out the door. Saying “Los Angeles” until you are blue in the face can be fun, particularly when you talk about Kevin Love ,but LA is a disaster right now, and Cleveland represents a great opportunity for him to get paid and play winning basketball. Thompson is going to get paid, sure, but that shouldn’t threaten Love in the grand scheme of things — playing both would be a surefire way to ensure that you get all the offensive rebounds. There are free agents out there, but what we’re likely to see is a reprisal of James’s last couple seasons in Miami, with guys looking to add a championship ring to their resume tacking on to be the eighth, ninth, and tenth men. The Cavaliers don’t have a whole lot of flexibility to adjust their roster beyond that, although they haven’t quite hit Brooklyn levels of convoluted misery yet.